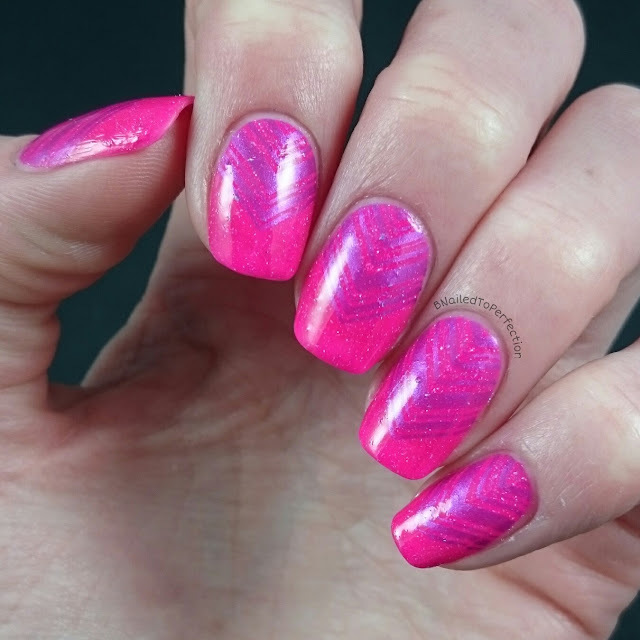 So I went a bit wrong with this week's 40 Great Nail Art ideas post. I actually did this weeks mani twice! I stamped first time using a lilac stamping polish but for some reason didn't think about what my pattern prompt was and stamped something random. When I realised my pattern should have been chevrons, I re-did my mani and completely forgot the colour theme and stamped using a polish with Violet in the name! I think over this base it works as a shade of lilac as it's such a bright pink. 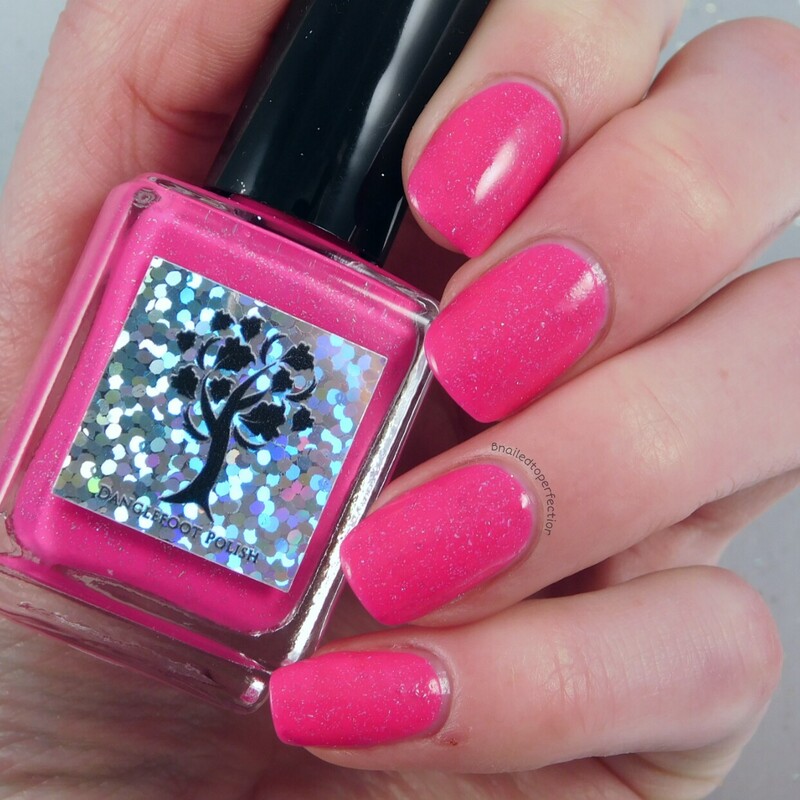 The base for this pink mani is Break the rules from Danglefoot polish which is neon pink with lots of flakies in it! It was opaque in two coats and is pretty easy to remove which is a bonus for a flakie. I took all the pictures on my phone apart from this one. I used my camera as although it dilutes neons, it shows the flakies beautifully. As mentioned earlier I used Paint the town violet from Hit The Bottle and my new Nail-Artisan Clear jumbo stamper. The image is from Uber chic plate 3-02. Love how the image looks over the base coat. It showed up better in person than on camera. 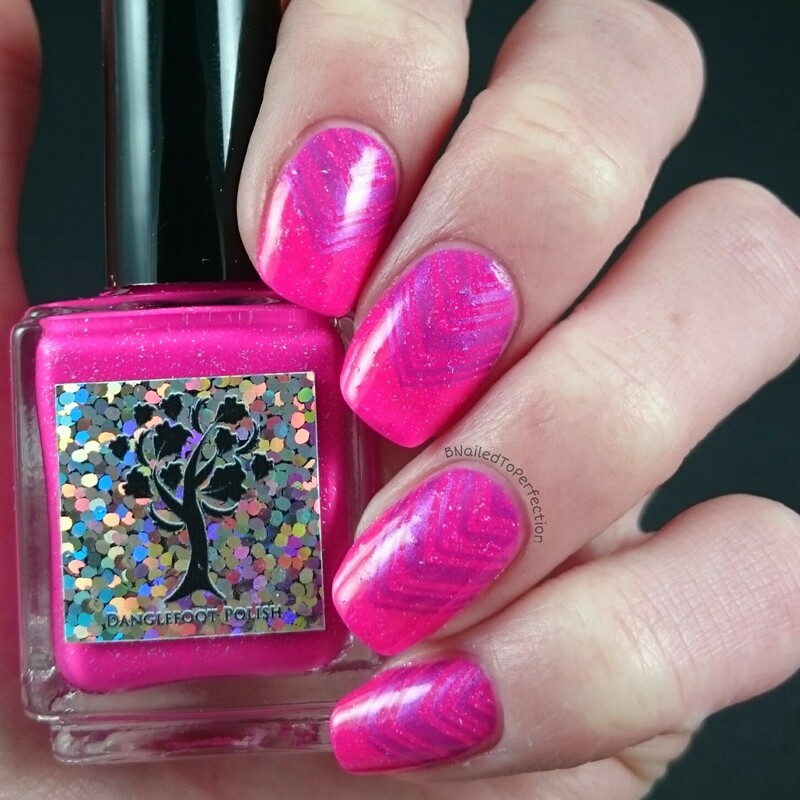 So what do you think of this mani? 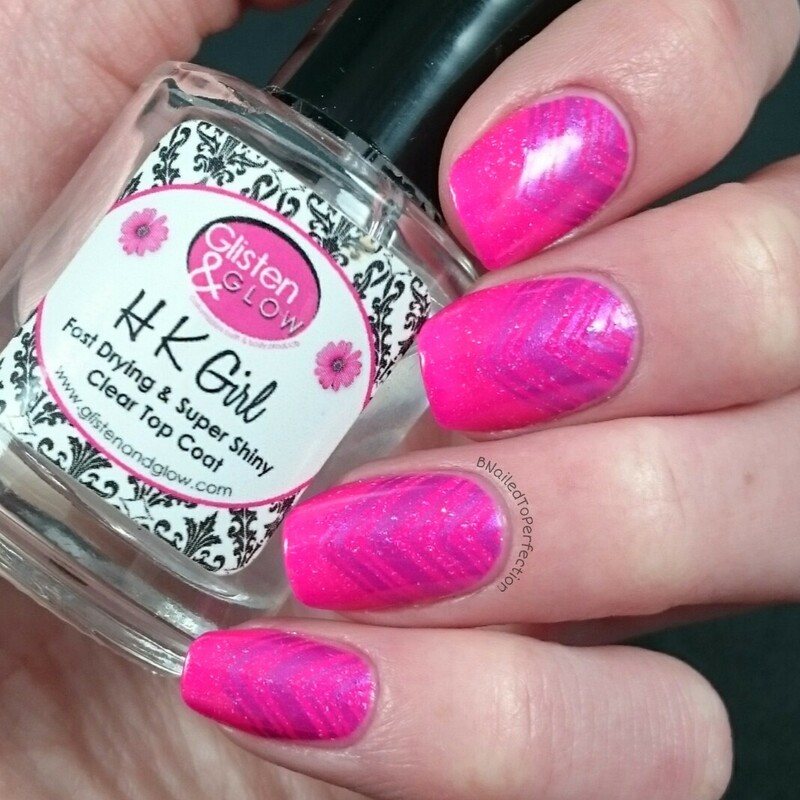 Don't forget to check out all the other manis below!